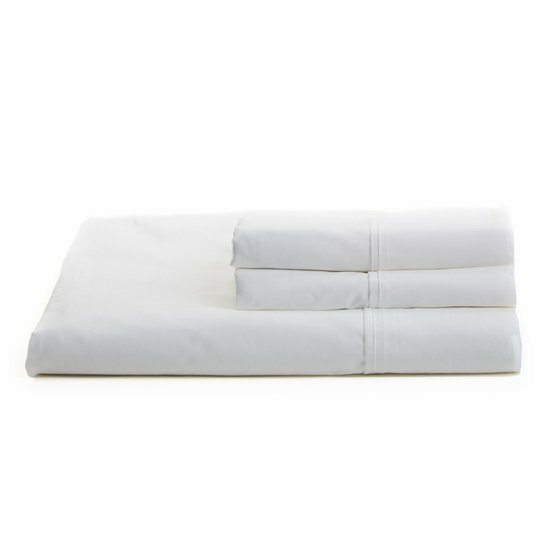 More about Solid White Queen Sheet Set A crisp set of white sheets is an essential of any modern home. Made from 100% cotton percale in a luxurious 200 thread count, this queen sheet set includes a fitted sheet, a flat sheet, and two standard pillowcases. Though not made by Marimekko, these sheets are the perfect compliment to the Finnish brand's duvet sets.